There’s nothing like a Sunday lunch to pick me up. Even better if it’s Parsi food. 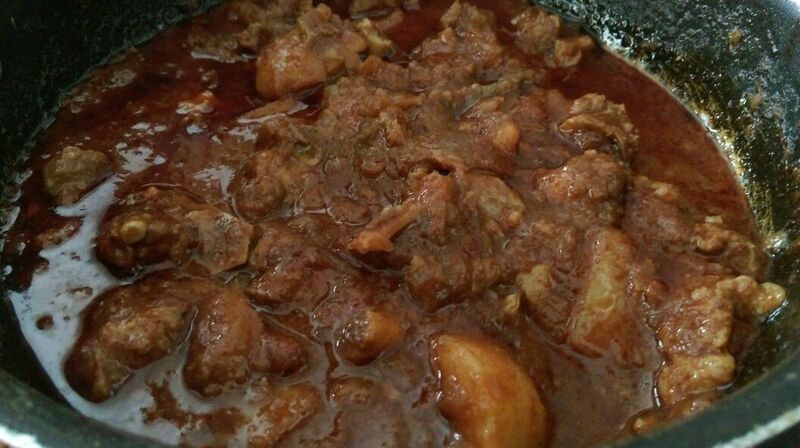 Like this authentic Parsi recipe of Mutton Jardaloo sali boti or Jardaloo ma Ghos. The week’s problems seem to melt away with a nice, hearty meal. Really, what do you need apart from a delicious lunch and a siesta to make the week better ? But for me, it’s not just the eating of the feast, it’s also the cooking of it that gives me immense calm. I know, sounds like a contradiction to wake up and cook on a Sunday, but for me, its all for a good cause! 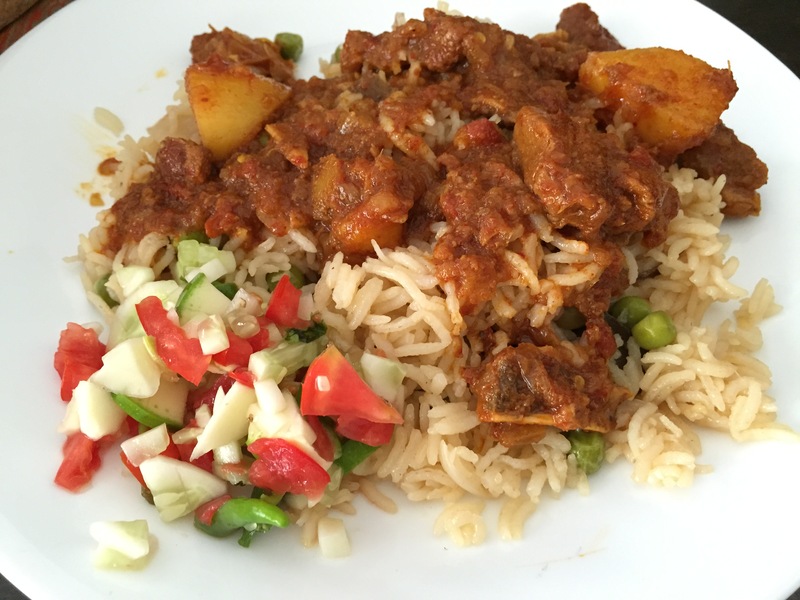 Get the freshest mutton you can manage and it will reduce cooking time even more. And team it with a pulav. I make mine with mutton stock to give it a more robust flavour! Goes so well with the tangy curry of the jardalu boti. You should use sali (fried potato straws) to garnish this dish. Mine vanished en route to the boti. For slow cooking, this time will increase to two hours. Marinate the mutton with ginger garlic and salt. You can do this the previous night too. Keep aside. Grind all the ingredients listed in ‘to grind’. Heat oil and fry the onions till golden. Add tomatoes and chillies and fry till the oil separates. Add ground masala. Fry till the rawness of the masala goes off or till the oil separates. You may need to alter the speed of the stove to make sure it doesn’t burn at this stage. Or add a few drops of water to prevent scalding. When the paste is adequately cooked add the mutton pieces and fry till they are sealed through. Adjust seasoning. Add vinegar and jaggery and a cup of water to build steam. Add the soaked apricots. Pressure cook till done. Open the lid and check flavours. You’re looking for tangy and sweet and a hit of spice. You may need to adjust vinegar and salt at this stage since the pressure cooking tends to wear out their flavours in this dish. Dry out the gravy to the desired consistency. 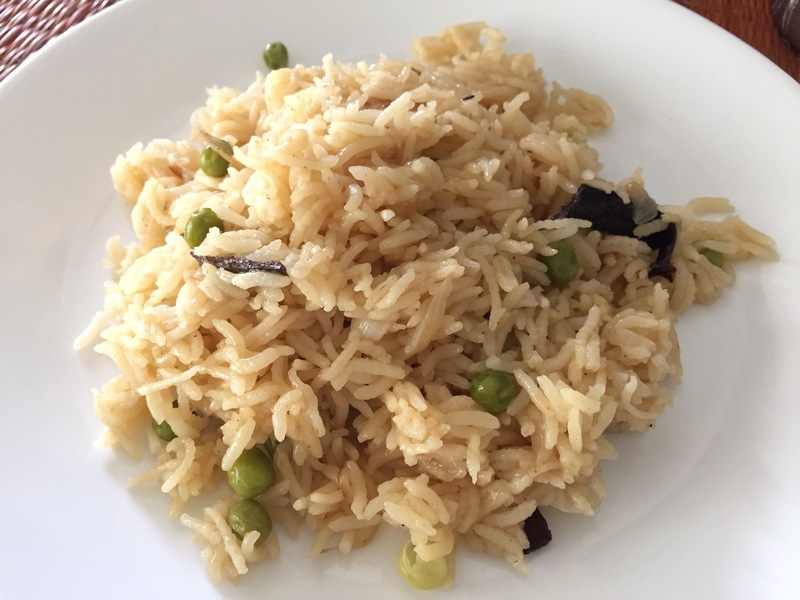 Serve hot with Pulav and Kachumbar salad! Previous Previous post: Flying Malpuas, a must-see video of the making of this sweet treat on the street! Next Next post: Easy peasy banana muffins!